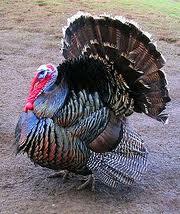 Since my teen years Thanksgiving Day has been my favorite among the major holiday celebrations. It has always meant a gathering of family and friends to share good food and drink and fellowship and a reminder to feel gratitude for our blessings. While I strive to maintain an attitude of gratitude on a daily basis, I love that our country has set aside a national day of giving thanks, a collective reminder that we as a people and a nation have been blessed with riches beyond what those is many countries can only imagine. We are blessed with freedoms of speech, religion, expression, the press, and assembly; the right to bear arms; freedoms from illegal search and seizure, cruel and unusual punishment, the freedom to speak against our government and not be jailed or killed; the freedom to vote for those who represent us; the freedom to expel then in the next election; freedoms to read what interests us, access information on the Internet or watch a movie that a politician may not like; we have a freedom of information act; we can travel freely; we have access to an education. Compared to the rest of the world, there is little true abject poverty in America. While there are disagreements about healthcare accessibility, public hospitals do not turn away the truly indigent. There are no images on news programs throughout the world showing children with distended bellies covered in flies. We do not have soldiers occupying our homes and maiming civilians. Personally I have been blessed with a talented, loving, funny, adorable husband; parents who fight to remain healthy by eating well, exercising, volunteering, traveling, maintaining their senses of humor and embracing life to the fullest; a brother who cares enough to fly from Texas and use precious vacation days to visit with family; in-laws who have accepted me warmly into their family and who also make every effort to live strong and happy; a job that affords me satisfaction and flexibility and the opportunity to work with some wonderful people in addition to giving me a paycheck; a beautiful home filled with an eclectic mix of memorabilia that is meaningful to my husband and myself; good health; and a peace and serenity that has come from traveling my own road to hell and back, clawing my way to sanity, happiness, and contentment after many years living with alcoholics. I am grateful that I’ve learned to appreciate watching the sunrise in the morning, the birds at the feeder out my window, the sound of my husband softly snoring next to me, a tight hug from my parents, my brother’s bad jokes, the beauty of ribbon roses still blooming the end of November, the smell of leaves burning in the fall, the glory of a daffodil in early spring, the feel of the sun on a sultry July afternoon and the taste of a home grown tomato the beginning of August. I am grateful for good books, music, wine, carrot cake, lamb chops, crab cakes, asparagus, BBQ, garlic, pasta, olives, and pedicures. Christmas has gotten far too commercial and for many people has too great a focus on giving and receiving gifts. There is too much Santa and shopping and having to attend parties to avoid political suicide. Easter has too great a focus on the Easter Bunny, dying Easter eggs and buying and hunting for candy. But Thanksgiving for me is all about family and appreciating people for who they are. I celebrate this day with my loved ones surrounding me and feel blessed to have them in my life.